A swashbuckling Texan, a teller of tall tales, a womanizer, and a renegade, Fred Cuny spent his life in countries rent by war, famine, and natural disasters, saving many thousands of lives through his innovative and sometimes controversial methods of relief work. Cuny earned his nickname "Master of Disaster" for his exploits in Kurdistan, Somalia, and Bosnia. But when he arrived in the rogue Russian republic of Chechnya in the spring of 1995, raring to go and eager to put his ample funds from George Soros to good use, he found himself in the midst of an unimaginably savage war of independence, unlike any he had ever before encountered. Shortly thereafter, he disappeared in the war-rocked highlands, never to be seen again. Who was Cuny really working for? Was he a CIA spy? Who killed him, and why? In search of the answers, Scott Anderson traveled to Chechnya on a hazardous journey that started as as a magazine assignment and ended as a personal mission. The result is a galvanizing adventure story, a chilling picture of "the new world order," and a tour de force of literary journalism. 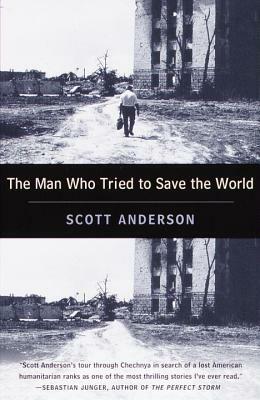 SCOTT ANDERSON is a renowned war reporter whose work has appeared in The New York Times Magazine, Harper's, and other national publications. He is the author of the novels Triage and The 4 O'Clock Murders, and coauthor of War Zones with his brother, Jon Lee Anderson. He lives in Brooklyn, New York.